Thank you to the students and families who participated in our 25th commencement ceremony. Congratulations to the Class of 2016! Nearly 1,300 of this year’s 1,800 graduates participated in the 25th Commencement Ceremony on Sunday, June 12. Check out our highlight reel with the best of our commencement ceremony. To view the entire ceremony, click here. Congratulations again to our newest alumni! Be sure to check out our UW Bothell alumni page and facebook page! Students are nominated for the award which recognizes an individual who has been a consistent source of inspiration for faculty and fellow students alike, and has overcome significant obstacles or endured major burdens in order to complete a bachelor’s degree, a graduate or post‐baccalaureate degree, or certificate program. 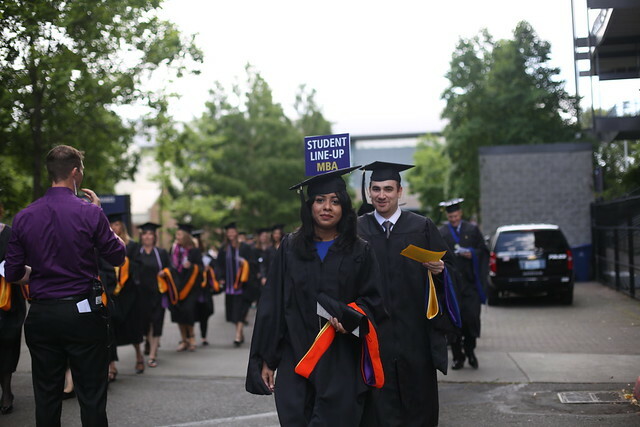 The University of Washington Bothell Class of 2016 is 1,800 strong and filled with 1,800 unique experiences that contributed to each student’s success. We caught up with some graduates and asked them to share a bit about their time here and give advice to students who will graduate in years to come.